Everest Academy: Monthly, Florence: Shoals Homeschool Craft & Board Game Day! Monthly, Florence: Shoals Homeschool Craft & Board Game Day! All ages are welcome. Younger children may participate with help of an adult partner! We will make a craft planned and led by a library employee and fellow homeschooler. 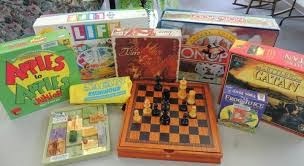 Afterwards we will have a blast playing a variety of board games. This event is open to all homeschoolers! Call/text Darla Hicks at 256-412-4464 to register or with any questions. Or email darlakayhicks@aol.com. Please note this event is sponsored by Everest Academy but open to all homeschoolers. Please review the Everest Academy Participation Policy before attending any of our events.